Critical infrastructure such as electricity distribution, water supply, transportation and telecommunications all depend on IT systems for management, surveillance and control. Industrial control systems (ICS), also called SCADA (Supervisory Control And Data Acquisition), are in fact consequently essential to maintain the functionality of modern society. 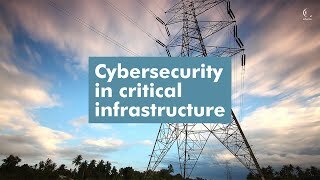 Advenica helps operators within critical infrastructure identify vulnerabilities in current hardware and network components and to take strategic and effective measures towards higher information security. The most important element in enhancing ICS-SCADA security is to keep the separate domains in the architecture isolated and only allow very specific information to flow in-between. Advenica’s Data Diode creates a high assurance isolation in the back direction, thereby blocking everything from the outside. If two-way information flow is necessary between the domains, a solution based on a high assurance filter, like SecuriCDS ZoneGuard is needed. Here the information is inspected in every detail and approved if, and only if, everything is in perfect order. The high assurance filter performs the virtually impossible task of interconnecting specific information flow between two domains that must not be connected. With Advenica’s encryption and segmentation networks can be separated and information can be connected information securely at the same time. Advenica’s Cross Domain Solutions enable strictly controlled and filtered information exchange between domains with different security or protection needs.